The Extremadura, 24, arrives to shore up Francisco's team. The Huesca will also sign for his left side a foreign side. Francisco asked for reinforcements for the left wing of his Huesca and Javi Galán arrives to cover the needs of his coach. 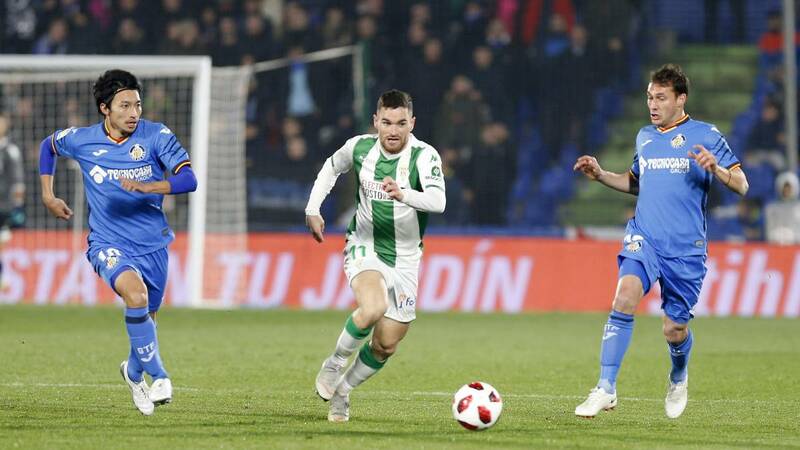 The 24-year-old Extremadura player can play both extreme and side and the Huesca players are made with a future, but the that they expect immediate performance to achieve permanence. The Altoaragonés club managed a transfer that already negotiated with Córdoba last summer and that has come true a few days after the closure of the winter market. Francisco had it at his command during the preseason of this course with the Córdoba and the player convinced to the technician of his potential. In addition, the sports director, Emilio Vega signed him for the Cordoba when he played in Badajoz and tras military in the Cordovan branch has played the last three seasons in the Second Division with the first team. With the whole blanquiverde has played 77 games, 20 this season, and has scored four goals. El Huesca wants to sign another player in the band, but specific para lateral y after negotiating with Brian Oliván, Cádiz, and Carles Planas , del Girona, has opted to sign outside the national market. The azulgranas hope to make official the hiring of a foreign footballer to satisfy the needs of Francisco for a position that has not had owner since the injury of Luisinho last September . In addition to the two players of the band, the club of Aragon wants to reinforce itself with a center and a midfielder. We are waiting for a last frantic market hours in which the Huesca have to close the operations that are on track. Enric Gallego and Yangel were the first to arrive in a wintry window that will change the face of Francisco's team, with six arrivals and departures from Gürler, Sastre, Semedo, Longo and predictably from Brezancic. Francisco not count in his last training session with Melero, Moi Gomez and Carlos Akapo. The coach hopes to recover for this Friday's game against Real Valladolid some of these troops and will also be added the new signings, that the technical staff will receive with open arms. The team will complete the last two trainings of the week behind closed doors, on Wednesday at El Alcoraz and Thursday afternoon at the Instituto Montearagón facilities.